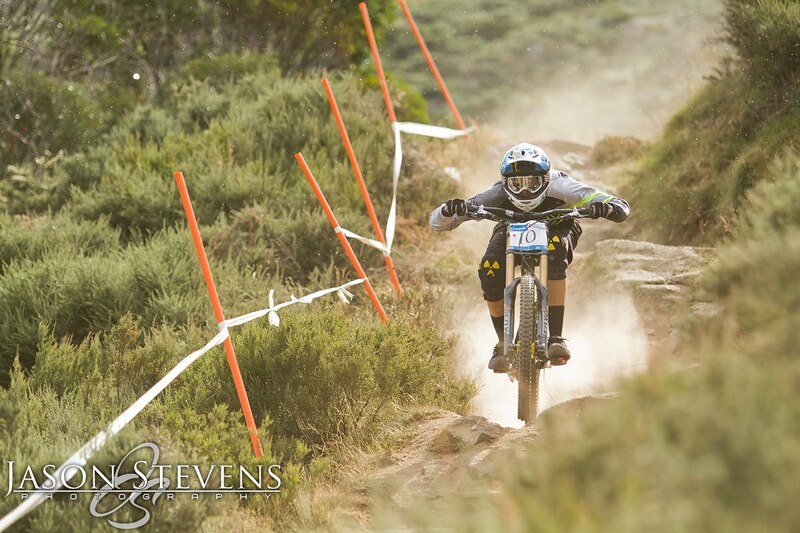 Just came off an awesome weekend racing round 2 of the Australian National Series at beautiful Thredbo, NSW. The track was really fun with rad dusty corners, technical rock sections and jumps the whole way down. It was also long and very physically demanding. My collarbone and shoulder are doing a lot better and by the way I am riding I know I am getting stronger and stronger every day. I managed to pull off a second place 2.59 seconds behind the incredible Caroline Buchanan. She really is an amazing athlete and rider and I feel like I am where I am supposed to be with my riding. One of the fast rocky sections where if you get bucked off line, you’re off on an adventure down the mountain side! Jason Stevens photo. Chris was loving the track but knew it was not going to be easy to do a top to bottom run at full pin. After sorting out his bike set up, he was ready to race on Sunday. He managed a 6th place, just a hair off the podium. Not the result he was after but he had to be happy with that. Jason Stevens captured us in practice, I was just showing him how it’s done ya know…fun off camber corners. We are pretty stoked to be able to travel to these events since we don’t have a big budget. By running camps and helping young riders on the side, we are able to make it happen. 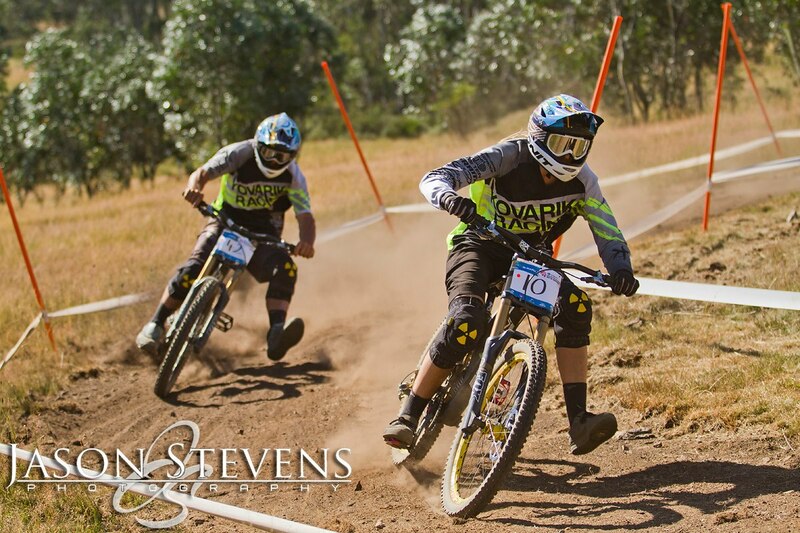 Thank you Downhill From Here, NSDynamics and Intense Cycles for working with us so that we can be out there. And thanks to all of our other amazing sponsors and community for supporting us. The next and final National of the series is in Bright, VIC in March. Looking forward to it but first up is some filming and riding here in Thredbo, a Race Skills Clinic at Stromlo and the Australian National Championships. Keep ya posted along the way.